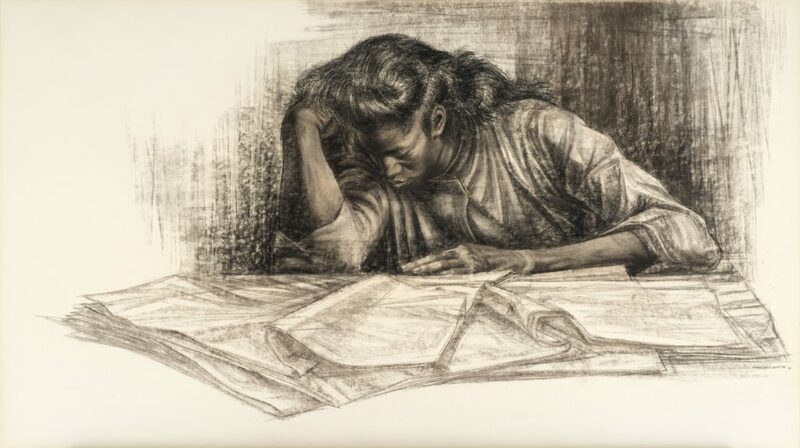 The University of Texas at Austin is honored to be the home of twenty-three works by Charles White, one of the 20th century’s most accomplished and innovative draftsmen and influential art educators. This exhibition celebrates the artist’s remarkable career and legacy, made possible by the generous gift of artworks from Drs. Susan G. and Edmund W. Gordon of Pomona, New York. 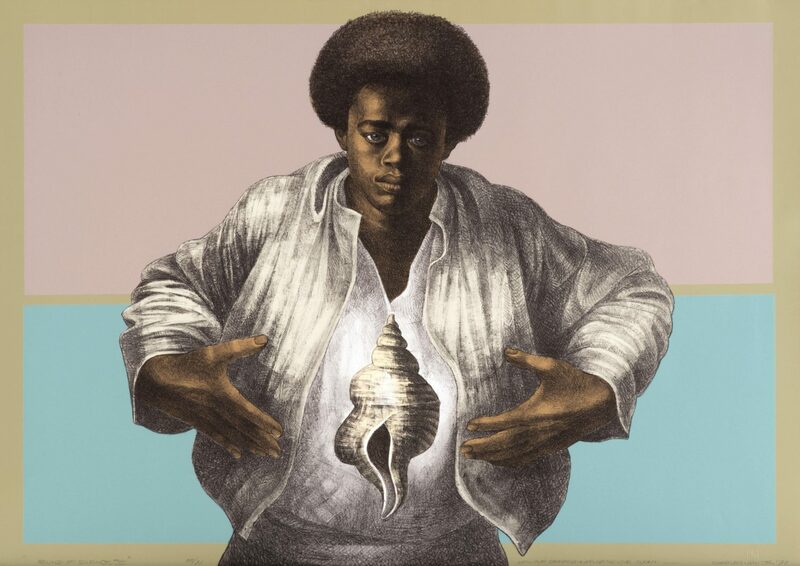 The exhibition will include works from this gift and by other artists in White’s circle and will be accompanied by a fully-illustrated catalogue published by UT Press. Organized by Carter E. Foster, Deputy Director for Curatorial Affairs, Blanton Museum of Art; Veronica Roberts, Curator, Modern and Contemporary Art, Blanton Museum of Art; Cherise Smith, Chair of African and African Diaspora Studies, The University of Texas at Austin; and Eddie Chambers, Professor, Art History (African Diaspora Art), The University of Texas at Austin. 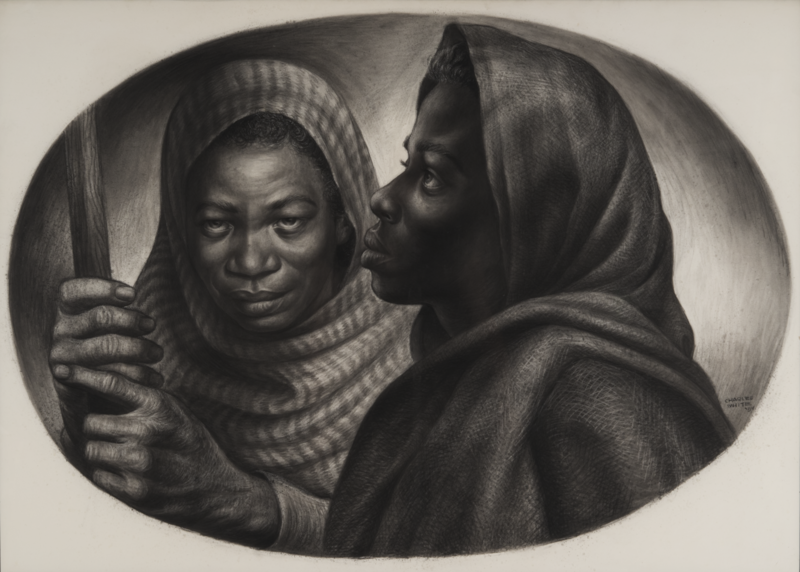 Charles White, “General Moses and Sojourner (Harriet Tubman and Sojourner Truth),” 1954, wolff carbon pencil and white chalk over traces of graphite pencil with scratching out, blending, and charcoal wash splatter, 70.8 cm x 96.5 cm (27 7/8 in. x 38 in.). Gift of Susan G. and Edmund W. Gordon to the units of Black Studies and the Blanton Museum of Art at the University of Texas at Austin. Charles White, “Awaken from the Unknowing,” 1961, compressed charcoal and brown and gray vine charcoal with scratching out, blending, and erasing, 81.9 x 145.4 x 4.4 cm (32 1/4 x 57 1/4 x 1 3/4 in.). Gift of Susan G. and Edmund W. Gordon to the units of Black Studies and the Blanton Museum of Art at The University of Texas at Austin. Charles Whites, “Wanted Poster Series #6,” 1969, oil wash brushed and stenciled with masking out over traces of graphite pencil, 163.2 x 81 x 5.1 cm (64 1/4 x 31 7/8 x 2 in.). Gift of Susan G. and Edmund W. Gordon to the units of Black Studies and the Blanton Museum of Art at The University of Texas at Austin. 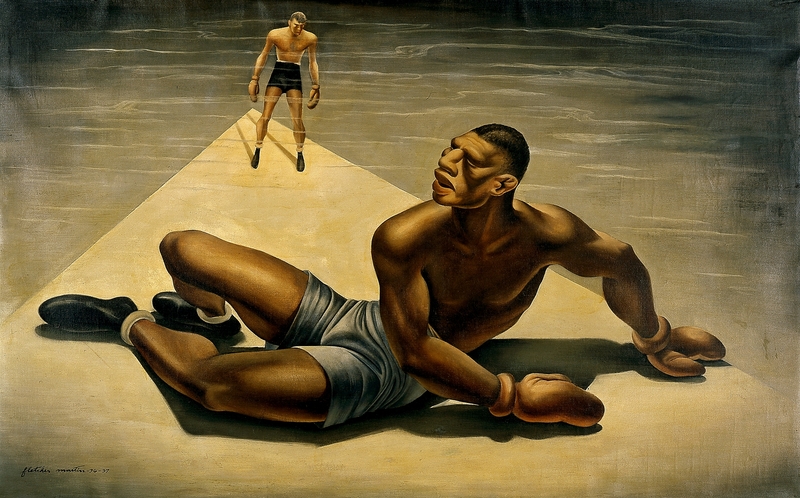 Fletcher Martin, “Down for the Count,” 1936-1937, oil on canvas, 75.6 cm x 120.7 cm (29 3/4 in. x 47 1/2 in.). Gift of Mari and James A. Michener, 1991. 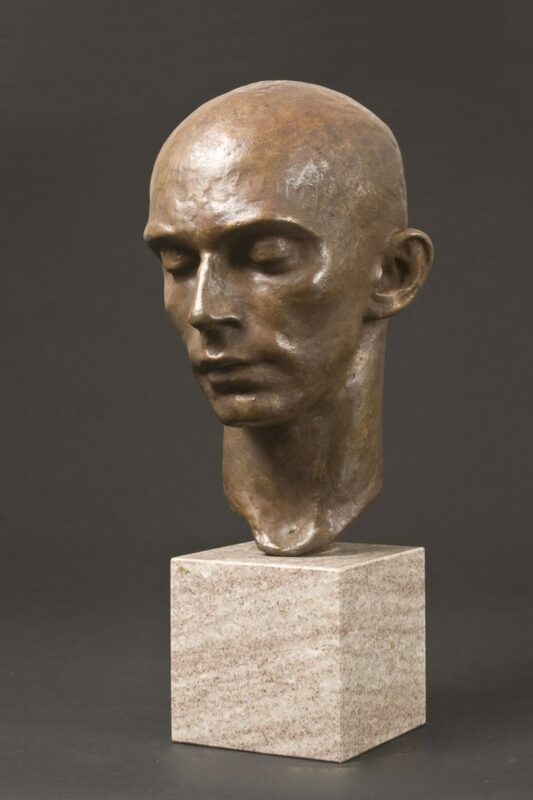 Richmond Barthé, “Head of a Dancer: Harald Kreutzberg,” circa 1933, bronze on original stone base, 32 x 19 x 16 cm (12 1/2 x 7 3/8 x 6 1/8 in.). Purchase through the generosity of Tom and Carmel Borders and Jeanne and Michael Klein, 2017. Gift of Susan G. and Edmund W. Gordon to the units of Black Studies and the Blanton Museum of Art at The University of Texas at Austin. 2014.